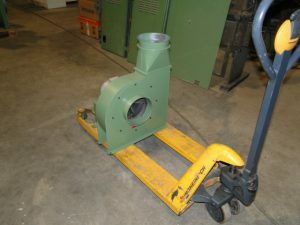 1 Fan LTG 1987, LM 224-11, Flock fan, cap 0.555 m³/s, (2000m³/h), motor 7.5Kw, 2900rpm, tube Ø 200mm. 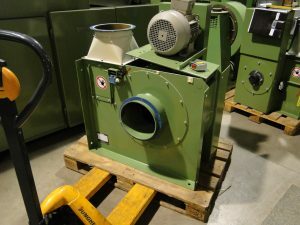 1 Fan TRUETZSCHLER 1988, SV 500, Dust fan, 4000m3/h, motor 5.5Kw/ 2900rpm/ 50Hz, tube in/ out Ø 300/ 350mm. 1 Fan RIETER 1998, TV500, flock transport fan, fan diam. 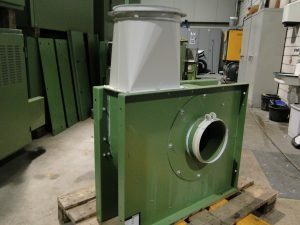 500mm, motor drive by V-belt, motor 4.0Kw/ 380V/50Hz, tube adaption Ø 220mm. 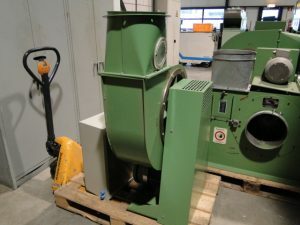 1 Fan TRUETZSCHLER 1995, TV 425, Flock fan, motor 4.0Kw/ 380V with 7 steps V-belt pulley, tube in out Ø 300mm. 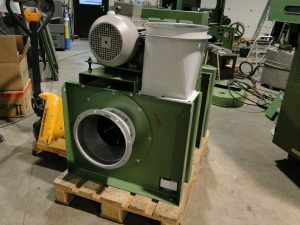 4 Fan TRUETZSCHLER 2003, TV 425, Flock fan, motor 5.5Kw/ 380V with 7 steps V-belt pulley, tube in out Ø 300mm. 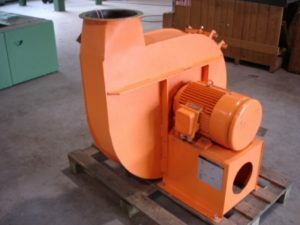 1 Fan TRUETZSCHLER 1989, TVR 425, Flock fan, motor 4.0Kw/ 380V with 7 steps V-belt pulley, tube in out Ø 300mm. 5 Fan TRUETZSCHLER 1985, TVR 425, Flock fan, motor 5.5 – 7.5Kw/ 380V, VARIBELT drive, tube in/out Ø 300mm. 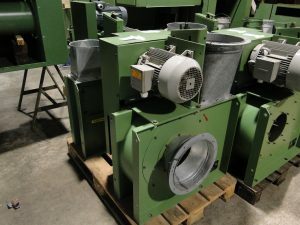 2 Fan TRUETZSCHLER 1994, TV 500, Flock fan, fan Ø 500mm, motor 5.5 – 7.5Kw/ 380V, drive by 2-fold V-belt pulley, tube in/out Ø 250mm. 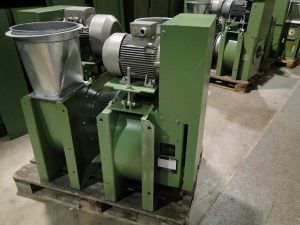 2 Fan TRUETZSCHLER 1995, TVF 425, Flock fan, fan Ø 425mm, direct drive by motor 5.5Kw/ 380V, prepared for frequency control, drive by V-belt, tube in/ out Ø 300mm. 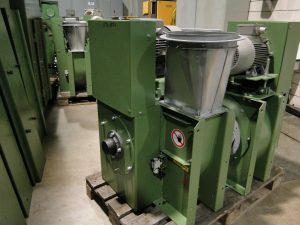 1 Fan TRUETZSCHLER 1998, TVD 425, Flock fan, fan Ø 425mm, direct drive by motor 6.5Kw/ 380V/ 3220rpm, prepared for frequency drive, tube in/ out Ø 250/ 300mm. 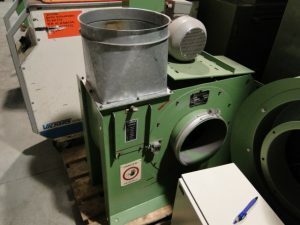 Please contact us at any time if you are looking for a second hand textile machine. Your offer of your free spinning, weaving, finishing, non woven and laboratory machines and equipment are also always welcome. We are happy you respectively to help or to take over the machine. We hope that we can serve you with this offer and see your message with great interest.